David Bernstein, George Mason University Foundation Professor of Law. Professor Bernstein is the author of over sixty frequently cited scholarly articles, as well as the author of Rehabilitating Lochner: Defending Individual Rights Against Progressive Reform (University of Chicago Press 2011). He is also the author of You Can’t Say That! The Growing Threat to Civil Liberties from Antidiscrimination Laws (Cato Institute 2003), the co-author of The New Wigmore: Expert Evidence (Aspen Law and Business 2003), author of Only One Place of Redress: African-Americans, Labor Regulations, and the Courts from Reconstruction to the New Deal (Duke 2001), and co-editor of Phantom Risk: Scientific Inference and the Law (MIT 1993). He is a former chairperson of the Association of American Law Schools Evidence section. Professor Bernstein teaches Products Liability, Evidence, Constitutional Law I and II, and Scientific and Expert Evidence. He is a regular contributor to the popular blog, The Volokh Conspiracy. Henry N. Butler is Dean, Professor of Law, and the Executive Director of the Law & Economics Center at the Antonin Scalia Law School, George Mason University. Prior to his appointment as Dean, Dr. Butler was a George Mason University Foundation Professor of Law and executive director of the George Mason University Law & Economics Center. For over 20 years, he has led judicial education programs that teach judges the basics of economics, finance, accounting, statistics, and scientific methods to over 3,000 sitting federal and state judges. From 2007 to 2010, Butler served as the first executive director of the Searle Center on Law, Regulation, and Economic Growth at Northwestern University School of Law. He has held prior appointments at The Brookings Institution, Chapman University, the University of Kansas, the University of Chicago, and Texas A&M University. From 1986 to 1993, he was a law professor at George Mason and during that period also served as an Associate Dean and Director of the Law & Economics Center. He received a MA and PhD in economics from Virginia Polytechnic Institute and State University and a JD from the University of Miami School of Law. He received a bachelor’s degree in economics from the University of Richmond. Caroline Cecot is an Assistant Professor of Law at Antonin Scalia Law School at George Mason University, where she teaches environmental law, administrative law, and torts. Her work on cost-benefit analysis, regulatory reform, and environmental regulation has been published in peer-reviewed journals and law reviews. Professor Cecot holds a JD from Vanderbilt Law School and a PhD in law and economics from Vanderbilt University. Following her graduate studies, Professor Cecot was the Postdoctoral Research Scholar in Law and Economics at Vanderbilt Law School and clerked for the Honorable Raymond J. Lohier, Jr., of the United States Court of Appeals for the Second Circuit. She was also Legal Fellow at the Institute for Policy Integrity at New York University School of Law, where she authored amicus curiae briefs and submitted comments on environmental and regulatory issues. Douglas H. Ginsburg, Judge, US Court of Appeals for the District of Columbia and Professor of Law, Antonin Scalia Law School, George Mason University. Judge Ginsburg is a leading authority on competition law and policy, administrative law, and law and economics. In his distinguished career, he has been a professor of law at Harvard University (1975-1983); held a number of posts in the executive branch of federal government (1983-1986), including assistant attorney general for antitrust in the US Department of Justice; and was then appointed to the US Court of Appeals in 1986 by President Ronald Reagan, serving as chief judge from 2001 to 2008. In addition to teaching law school classes Antitrust and Readings in Legal Thought, Judge Ginsburg teaches and lectures for the Law & Economics Center. Michael Greve, Professor of Law, Antonin Scalia Law School, George Mason University. A prolific writer, Professor Greve is the author of nine books and a multitude of articles appearing in scholarly publications, as well as numerous editorials, short articles, and book reviews. He is a frequent speaker for professional and scholarly organizations and has made many appearances on radio and television. In addition, Greve has provided congressional and state legislative testimony, has lobbied and consulted in federal agency proceedings, and has provided litigation services and management in over 30 cases, including matters before the US Supreme Court. Before joining the law school faculty, Professor Greve served as John G. Searle Scholar at the American Enterprise Institute (AEI), where he specialized in constitutional law, courts, and business regulation and served as chairman of the Competitive Enterprise Institute. Prior to joining AEI, Greve was founder and co-director of the Center for Individual Rights, a public interest law firm specializing in constitutional litigation. Jennifer Mascott is an Assistant Professor of Law and Faculty Director of the Supreme Court and Administrative Law Clinics at the Antonin Scalia Law School of George Mason University. She also serves as a Public Member of the Administrative Conference of the United States. Professor Mascott teaches Administrative Law and writes in the areas of administrative and constitutional law and statutory interpretation. Her scholarship has been cited by the Supreme Court and has been published or is forthcoming in the Stanford Law Review, the George Washington Law Review, the BYU Law Review, and the Loyola Journal of Regulatory Compliance. The well-known Legal Theory Blog has reviewed her work as “path breaking,” and she is a permanent commentator at the Yale Journal of Regulation’s Notice and Comment blog. Timothy J. Muris, George Mason University Foundation Professor of Law. Professor Muris served from 2001-2004 as Chairman of the Federal Trade Commission. During his tenure at the FTC, he created the highly popular National Do Not Call Registry that has allowed millions of consumers to block unwanted telemarketing calls. 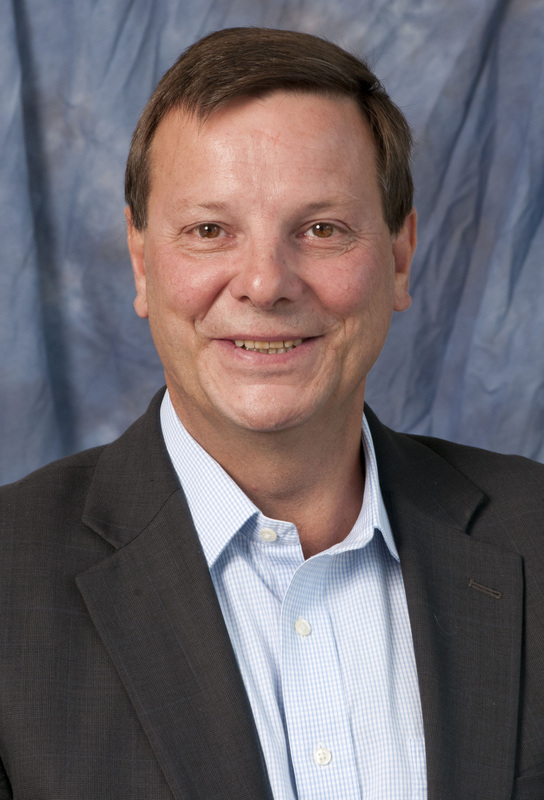 In addition to his current position at George Mason, Muris is Of Counsel at the law firm of Kirkland & Ellis LLP. Professor Muris has held three previous positions at the Commission: Assistant Director of the Planning Office (1974-1976), Director of the Bureau of Consumer Protection (1981-1983), and Director of the Bureau of Competition (1983-1985). In 1981, Muris was Deputy Counsel to the Presidential Task Force on Regulatory Relief. From 1985-1988, Muris served with the Executive Office of the President, Office of Management and Budget. A member of the American Bar Association’s Antitrust Section, Muris has written widely on antitrust, consumer protection, regulatory, and budget issues. Neomi Rao is the Founder of the C. Boyden Gray Center for the Study of the Administrative State and an Associate Professor of Law at Antonin Scalia Law School, George Mason University. On July 10, 2017, the United States Senate confirmed Professor Rao as Administrator of the Office of Information and Regulatory Affairs, an agency within the White House Office of Management and Budget. She is on leave of absence while fulfilling her duties in that role. Professor Rao’s research focuses on structural constitutional law, executive power, and administrative law. Professor Rao’s academic work is informed by her service in all three branches of the federal government. Prior to joining the Law School in 2006, she served as Associate Counsel and Special Assistant to President George W. Bush. Professor Rao also served as counsel to the U.S. Senate Committee on the Judiciary, where she was responsible for judicial nominations and constitutional law issues. In between government service, Professor Rao practiced in the London office of Clifford Chance LLP, specializing in public international law and commercial arbitration. She clerked for Judge J. Harvie Wilkinson III on the U.S. Court of Appeals for the Fourth Circuit and for Justice Clarence Thomas on the U.S. Supreme Court. Professor Rao is a frequent commentator in print and broadcast media, with editorials appearing in the Wall Street Journal and guest blogs at The Volokh Conspiracy and Opinio Juris. She recently testified before the US Senate Committee on the Judiciary about the constitutionality of the Dodd-Frank Wall Street Reform Act. Jeremy A. Rabkin, Professor of Law, Antonin Scalia Law School, George Mason University. Before joining the faculty in June 2007, he was, for over two decades, a professor in the Department of Government at Cornell University. 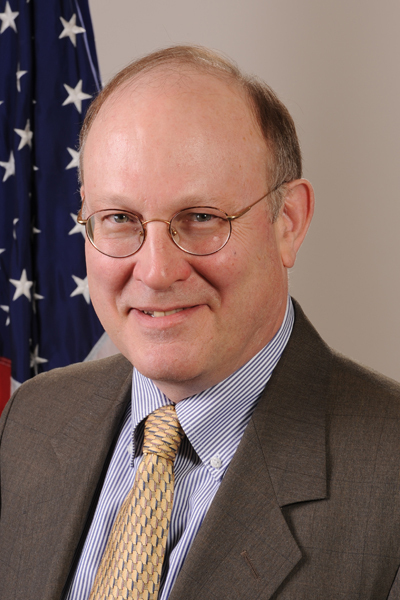 Professor Rabkin serves on the Board of Directors of the US Institute of Peace (originally appointed by President George W. Bush in 2007, then appointed for a second term by President Barack Obama). He also serves on the Board of Academic Advisers of the American Enterprise Institute and on the Board of Directors of the Center for Individual Rights, a public interest law firm based in Washington, DC Professor Rabkin’s books include Law Without Nations? (Princeton University Press, 2005). His articles have appeared in major law reviews and political science journals and his journalistic contributions in a range of magazines and newspapers, including the Washington Post and Wall Street Journal. Mark J. Rozell, Dean and Professor, Schar School of Policy and Government, George Mason University. Professor Rozell is the author of nine books and editor of twenty books on various topics in US government and politics including the presidency, religion and politics, media and politics, and interest groups in elections. His books include The President’s Czars: Undermining Congress and the Constitution (University Press of Kansas, 2012) (with Mitchel A. Sollenberger) and Executive Privilege: Presidential Power, Secrecy and Accountability (University Press of Kansas, 2010). He has testified before Congress on several occasions on executive privilege issues and has lectured extensively in the US and abroad. In recent years, he has lectured in China, India, Vietnam, Turkey, Austria, Germany, Great Britain, Italy, Poland, Denmark, Finland, and Sweden.